It’s time to start brainstorming your DELTA Grants project proposals! 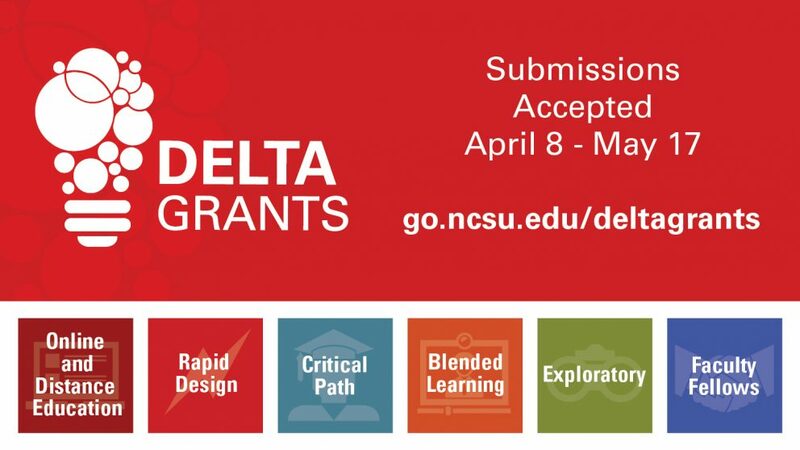 DELTA Grants is a competitive awards program for NC State faculty and staff. Award recipients whose projects are accepted for funding receive DELTA personnel support for the planning, design and development of online and distance education courses, blended learning, traditional courses, projects and faculty peer outreach assistance. We are seeking collaborative partners from diverse disciplines across campus for the 2019-2010 DELTA Grants cycle. Partners will work with staff to provide innovative solutions for educational challenges. What Types of DELTA Grants are Available? The Rapid Design grant is intended for faculty who need guidance and templates to produce an Online and Distance Education course on a quick timeline (3-4 months). Provides faculty a series of three targeted, one-to-one consultations to help guide faculty through the application of DELTA-developed templates and step-by-step guides to ensure they have the tools and skills necessary to design or redesign their courses. Provides support for the full or partial redesign of critical path, large enrollment courses required for graduation. Faculty Fellows grants sponsor NC State faculty to work with DELTA to share their experience teaching and learning with technology, allowing the campus community to benefit from their expertise. Provides design and development support for a new ODE course or the creation of instructional materials for revision of an established course. Provides design and development of instructional materials for environments combining face-to-face and online learning. Allows faculty to investigate a unique instructional challenge in an existing course or exploration of targeted emerging technologies (think virtual reality, augmented reality and more). Visit go.ncsu.edu/deltagrants for more specific information on each grant type. If you’re new to DELTA Grants and need the basic information, join us for one of our online informational sessions. If you have an idea and need feedback for crafting your proposal, join us for an online group consultation. Tuesday, April 2, 2019: 12-1 p.m.
Wednesday, April 10, 2019: 12-1 p.m. The difference between the grant types with brief examples of each. March 11: DELTA Grants Request For Proposals available for review. 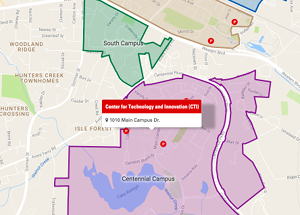 March 25: DELTA Grants Showcase, 2-4 p.m. in the Hunt Library Teaching and Visualization Lab. Come experience completed DELTA Grants projects through an interactive digital poster session. You’ll have a chance to talk with faculty about their experiences working with DELTA. April 8: DELTA Grants submission system opens. May 17: Proposal submissions due by 5 p.m.
Visit go.ncsu.edu/deltagrants for more information about each grant type and other important dates. View our DELTA Grants FAQ page for information about grant eligibility, the review process and general inquiries. Email deltagrants@ncsu.edu with specific questions.